Jare Leto’s upcoming project may be a TRON Reboot. Following the unsuccess of 2010’s TRON: Legacy, Disney is looking to reinvigorate the potential franchise with a popular actor. THR reports that the studio is in the early stages of developing the TRON Reboot with no writer or director. Justin Springer, who coproduced TRON: Legacy, will be involved along with Jared Leto and his producing partner Emma Ludbrook. If your memory is foggy TRON: Legacy revisited the world of the original 1982 TRON. TRON takes place within a computer program in a cyberspace called “The Grid”. In TRON: Legacy, the main protagonist of the original film, Kevin Flynn (Jeff Bridges) has gone missing. His son, Sam Flynn (Garrett Hedlund) is now the major shareholder of ENCOM, the software company his father left behind. Sam isn’t exactly passionate about the company and only revisits to play pranks. Garrett Hedlund and Olivia Wilde in 2010’s TRON: Legacy. One night, Sam is asked to investigate a strange pager message coming from his father’s original video arcade. Sam discovers a large computer that teleports him to The Grid. He meets the oppressive program named Clu who resembles Sam’s father. Sam is rescued by Quorra, an apprentice of Flynn, and the two set out to learn more about Sam’s missing father and save The Grid from Clu. While I personally enjoyed TRON: Legacy, many did not share that opinion; leading to the many project shutdowns that have plagued the property over the last 7 years. Jared Leto is currently working on the Blade Runner sequel alongside Ryan Gosling and Harrison Ford. Hopefully, Leto can do for TRON what he, unfortunately, couldn’t do for Suicide Squad. 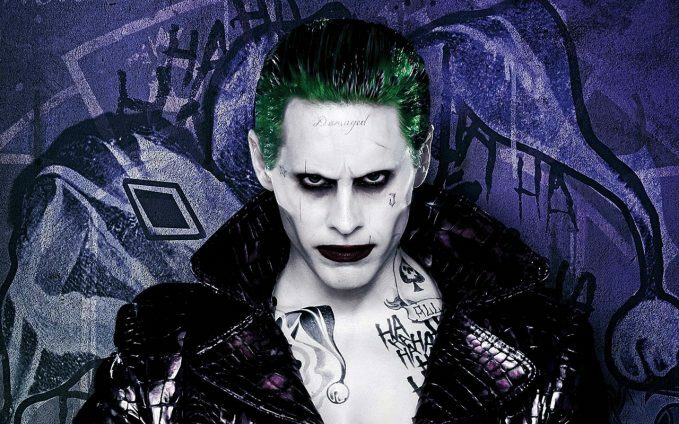 Jared Leto portrayed The Joker in last years profitable but poorly received DC film. With such a high profile character being played by a high profile actor, you would have thought Jared would steal the whole film. History decided otherwise. Do you want to see TRON get a major upgrade? What do you think about Jared Leto as the lead man?